We can hear the tiny heartbeats! 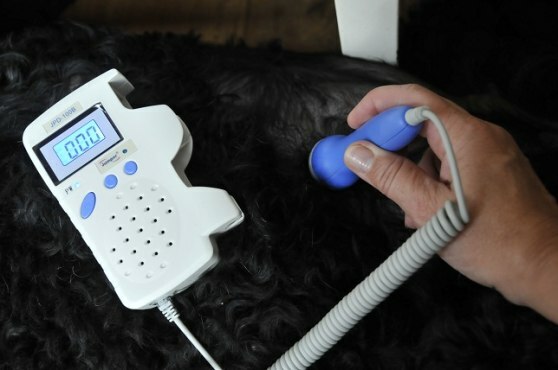 One of the to-be puppy owners, who is a mid wife, lent us a professional foetal doppler with a special gel. It is fantastic how well one can hear the little hearts ticking in Yatzie's belly. Moving the doppler around I heard at least 4 different beats! Yatzies belly is so big - I wonder how many puppies there really are?! Click on the sound track below if you want to hear the heart beats.